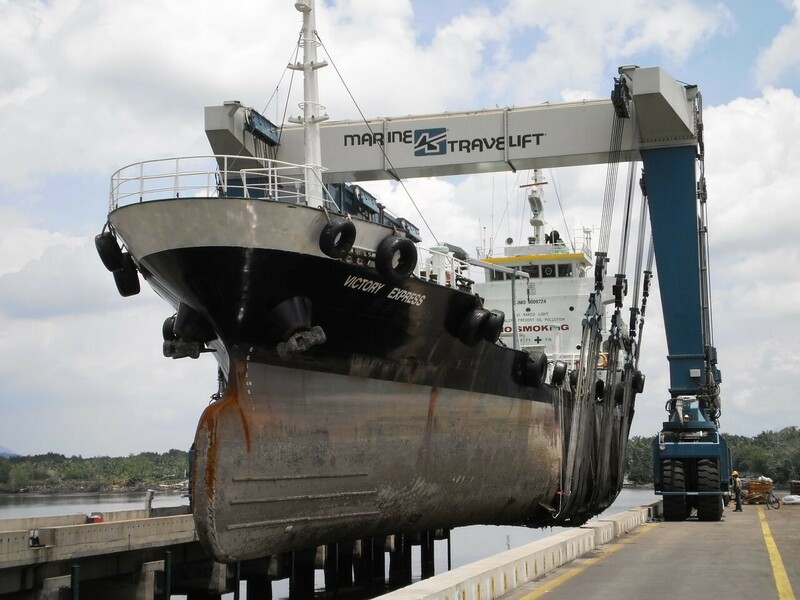 J. GOODISON CO. is expanding its marine services business onto a newly improved, waterfront site at the Quonset Business Park, and with a new mobile ship hoist, will begin servicing vessels as large as barges and passenger ferries. Pictured is the mobile ship hoist. / COURTESY J. GOODISON CO.